In Machine Cutting Image, a short video in an endless loop, the footage of the actual cutting process of N° 7659 is cut several times in a way that if forms a set of vertical pieces of footage. Each piece is cut on the spot where the other one is whole in order to form a moving image of an elongated, distorted space. 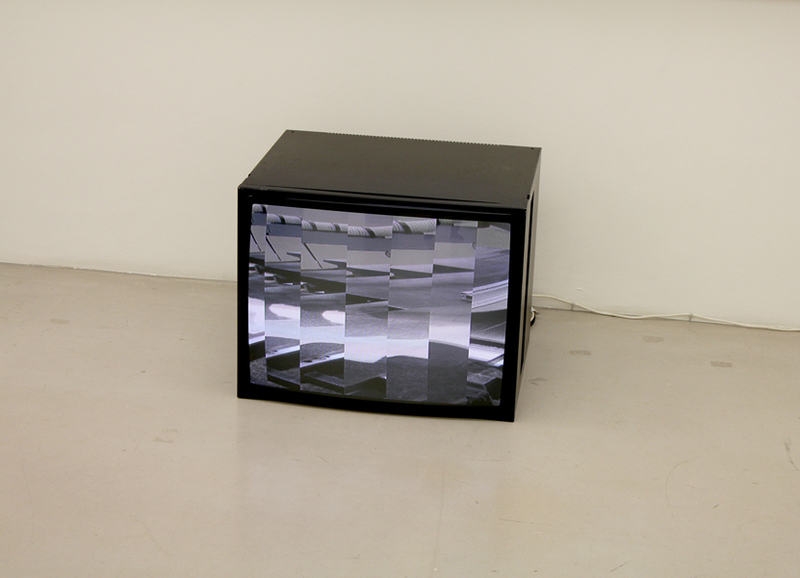 As such (as a cut and reassembled footage that supposedly, as suggested by the title, functions as a machine cutting image’), it not only relates to the previous artworks but also as ‘cutting into an existence a cutting machine’ , exaggerates the process of automatization.